Includes fiction by Eleanor Arnason, Stephen Dedman, Martha A. Hood, Patricia S. Bowne, Patricia Russo, William Mingin, Jason Sanford, Catherine Lundoff, Patricia Russo, Cornelius Fortune, Douglas J. 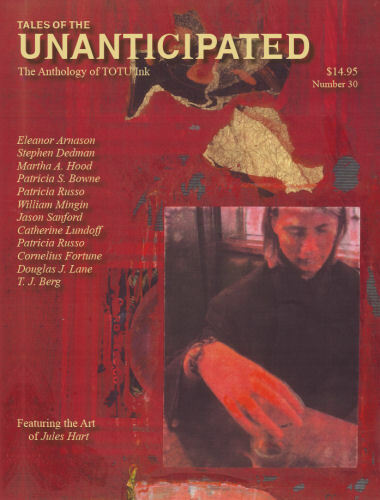 Lane, T. J. Berg, Barbara Rosen, Terry Faust, Kurt Kirchmeier, Matthew S. Rotundo, and Sarah Totton; poetry by F. J. Bergmann, Ann K. Schwader, Ruth Berman, P M F Johnson, Ann Peters and Ellen Kuhfeld, Alexis Vergalla, G. O. Clark, KC Wilder, Zoë Gabriel, and Sandra Kasturi. Featuring the Art of Jules Hart.